We were very pleased with our purchases across the 2017 yearling sales season and are now excited to see four of our more precocious two-year-olds recently return to training in Albany. Our recently-named geldings Texan Blitz (Oratorio-Just As Beautiful) and Triggerfish (Bullet Train-Assasi), as well as our Myboycharlie ex Frankie and Demerit ex Natural Thunder fillies, are back in work and we plan on getting them up and running for the pre-Christmas juvenile races, with the $60,000 Initial Plate (1000m) at Belmont on Saturday September 30 the first of the 2017/1/ two-year-old events. All four youngsters cruised through their education programs and pleased us with their application to training, with each of them pushing through the strong pacework before being sent for a spell towards the end of May. Texan Blitz (pictured) was a steal at the Perth Magic Millions Sale and we were thrilled to secure her for only $50,000, having expected him to fetch significantly more. 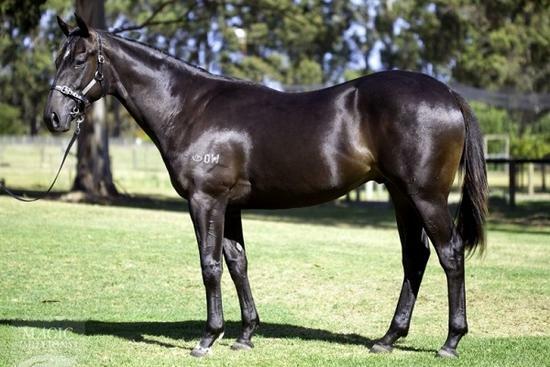 We have particular high hopes for him, while Triggerfish (purchased at Inglis Sydney Classic Sale) is a lovely strong son of Frankel's three-quarter brother Bullet Train and successfully completed every task he was assigned last time in work. We are especially looking forward to seeing what our Myboycharlie ex Frankie and Demerit ex Natural Thunder fillies can do this campaign, having excited us with some of the dash they displayed during their educations programs. Both were purchased after being identified as early-running types and it's going to be interesting to see them develop, and hopefully push through to a race.